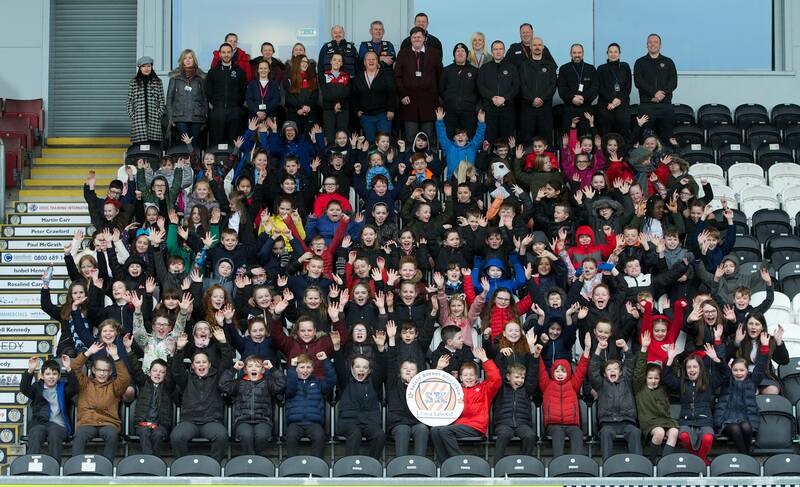 The annual Safe Kids events, organised by the Renfrewshire Community Safety Partnership and hosted by St Mirren Football Club, has delivered safety messages to more than 20,000 young people since it was first introduced more than a decade ago. Pupils from every school in Renfrewshire were invited to take part a wide range of workshops, from littering, dog fouling and anti-social behaviour to fire safety, drugs and alcohol awareness and emergency situations. The workshops took place in and around the Paisley 2021 Stadium, including the dressing rooms and hospitality suite, with pupils taking their seat in the stand before being split into their groups for the day. Kids were also tasked to create their own posters detailing what being safe means to them and five winners were selected by Renfrewshire’s Provost Lorraine Cameron. The winners, and their families, were invited to a special VIP day at the Paisley 2021 Stadium and were joined by pupils from Bargarren, St John Bosco, Glencoats and Barsail Primary. Councillor Cathy McEwan, Convener of Renfrewshire Council’s Infrastructure, Land and Environment Policy Board, said: “Safe Kids is a fantastic project which is ensuring our children have the correct information and skills to stay safe in a variety of situations. “More than 20,000 pupils have had the opportunity to learn from a variety of our community partners and this will allow them to be fully informed to deal with issues both in and out of school. Safe Kids events took place on 7-8 March, 13-16 March and will conclude between 19-22 March. 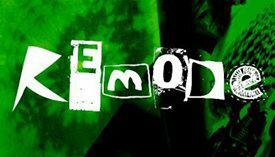 The workshops were delivered by a range of partners including Renfrewshire Council’s Youth Team, Renfrewshire Council’s Wardens, Renfrewshire Council’s Civil Contingencies Service, Renfrewshire Council’s RADAR (Drugs and Alcohol), Police Scotland, British Transport Police, Scottish Fire and Rescue, Who Cares Scotland and Street Stuff. Prizes for the winners, including discounted passes, bags and tickets, were kindly donated by Flip Out, Joma Sport and St Mirren.